Plump, in a nice sort of way. A narrow crack in a wall or a space between floorboards. 'I lost sixpence through a squinch in the floor'. 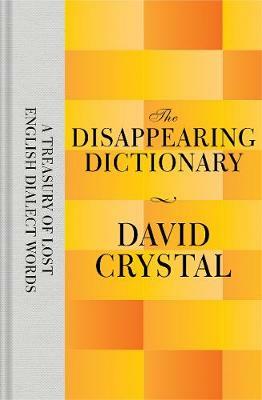 David Crystal works from his home in Holyhead, North Wales, as a writer, editor, lecturer and broadcaster. He has published extensively on the history and development of English, including The Stories of English, Evolving English and Spell It Out: The Singular Story of English Spelling. He held a chair at the University of Reading for 10 years, and is now Honorary Professor of Linguistics at the University of Bangor. He was 'Master of Original Pronunciation' at Shakespeare's Globe in London for its productions of Romeo and Juliet and Troilus and Cressida in 2004-5, and has since acted as an accent consultant for other such productions worldwide.